Service awards in The Sims 3 are special decorations that are available in The Sims 3: Ambitions when a Sim completes certain achievements in their profession or career. If you don’t want to wait around for your Sims to actually complete these goals, but want them to decorate their home with these items, you can do so by using the “Buydebug” cheat code in The Sims 3. Award ribbons in The Sims 3 are able to be placed on the wall in your Sim’s home after they accomplished a certain goal in their profession. Firefighter – awarded for completing the “Criminal Warehouse” disaster scenario. Ghost Hunter – awarded for Sims that are in the Ghost Hunter profession and capture 150 spirits. Painter – awarded to Sims who have sold $25,000 worth of their own paintings. Private Investigator – awarded to Sims that have solved the “Fish Kid” case. Stylist – awarded to Sims that are in the stylist profession and have performed at least 50 makeovers to other Sims. 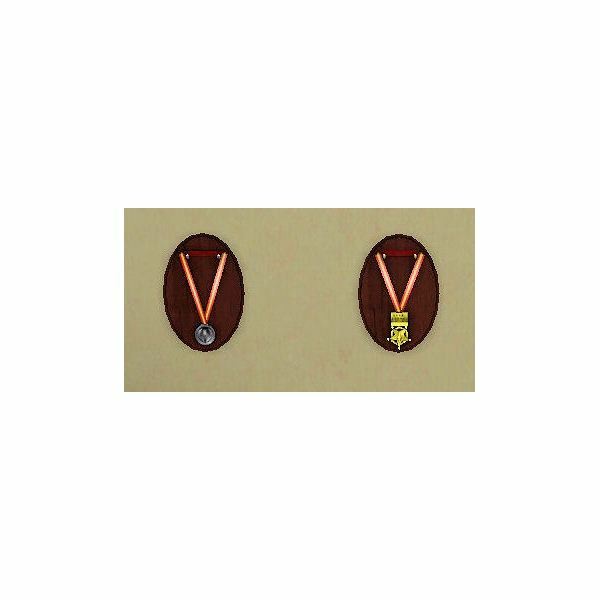 Hero Medals in The Sims 3 are able to be placed on the wall in your Sim’s home after they accomplished a certain goal in their profession. Firefighter – awarded to Sims who have rescued 10 Sims. Fisher – awarded to Sims that have sold $25,000 worth of fish that they caught. Ghost Hunter – awarded to Sims who have captured 75 spirits. Inventor – awarded to Sims who have invented a Sims 3 Time Machine. Private Investigator – awarded to Sims who have solved the “Jewel Heist” case. 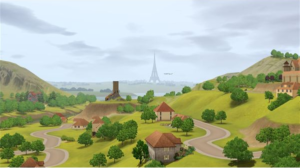 Epic Hero Medals in The Sims 3 are able to be placed on the wall in your Sim’s home after they accomplished a certain goal in their profession. Architectural Designer – awarded for performing 50 renovations. Doctor – awarded to Sims that have helped 10 other Sims in local emergencies around town. Firefighter – awarded to Sims who have completed the “Hospital Disaster” scenario. Ghost Hunter – awarded to Sims that have completed 7 jobs around town. Inventor – awarded to Sims that have invented 50 widgets. Private Investigator – awarded to Sims that have solved the “Rogue Cop” case. Sculptor – awarded to Sims that have sold $25,000 worth of their own sculptures. Stylist – awarded to Sims that have performed 100 makeovers around town. 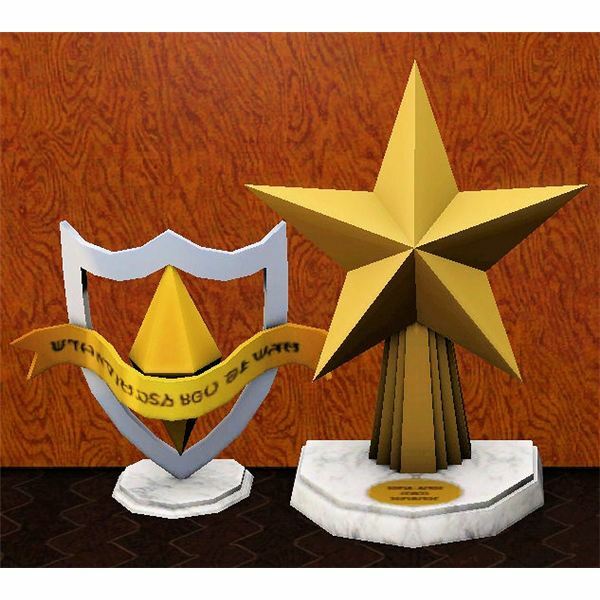 Honor Trophy in The Sims 3 are able to be placed on the floor or on a stand in your Sim’s home after they accomplished a certain goal in their profession. Architectural Designer – awarded to Sims who have performed 5 renovations. Firefighter – awarded to Sims who have rescued 2 Sims. Ghost Hunter – awarded to Sims who have captured 15 spirits. Inventor – awarded to Sims who have invented 10 widgets. Nectar Maker – awarded to Sims that have sold $25,000 worth of their own nectar. Private Investigator – awarded to Sims that have solved 3 cases. Stylist – awarded to Sims that have performed 10 makeovers around town. Writer – awarded to Sims who have written $25,000 worth of books. Hero Trophy in The Sims 3 are able to be placed on the floor or on a stand in your Sim’s home after they accomplished a certain goal in their profession. Firefighter – awarded to Sims who have completed the “Science Facility Disaster” scenario. Gardener – awarded to Sims who have sold $25,000 worth of their own produce. Private Investigator – awarded to Sims who have solved 3 “Missing Sim” cases. 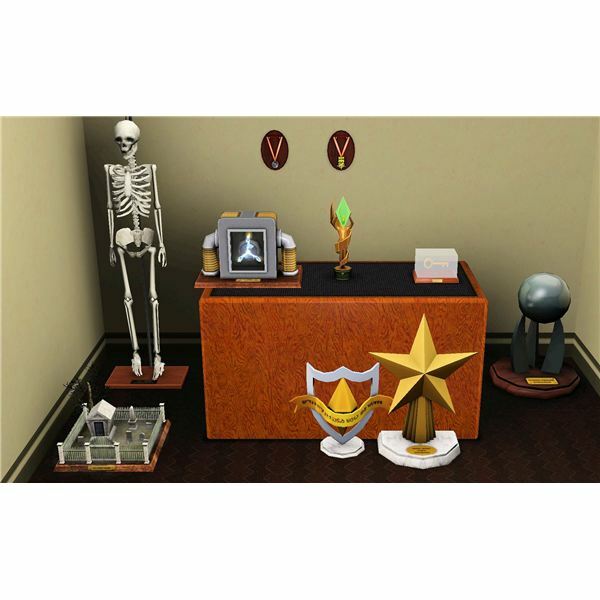 The Valor Trophy in The Sims 3 are able to be placed on the floor or on a stand in your Sim’s home after they accomplished a certain goal in their profession. Architectural Designer – awarded to Sims who have performed 25 renovations. Doctor – awarded to Sims who have completed 10 “Rabbit Hole Jobs” such as the Medical Outreach job. 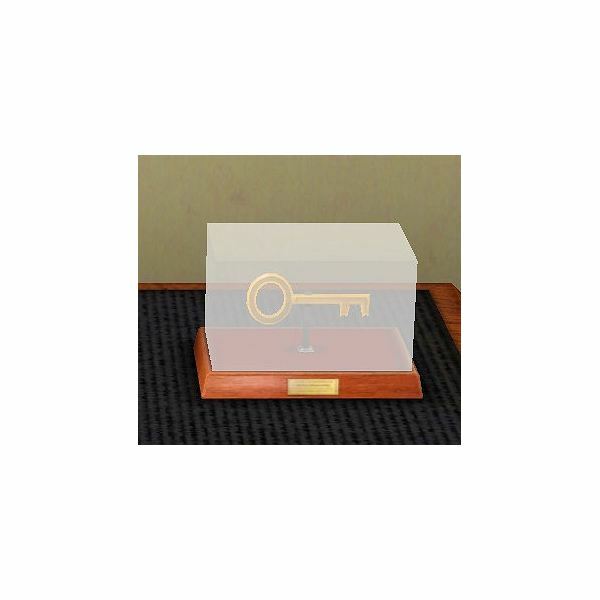 The Key to the City in The Sims 3 are able to be placed on the floor or on a stand in your Sim’s home after they accomplished a certain goal in their profession. Architectural Designer – awarded to Sims who have reached level 10 in their profession. Doctor – awarded to Sims who have reached level 10 in their profession. Firefighter – awarded to Sims who have reached level 10 in their profession. Ghost Hunter – awarded to Sims who have reached level 10 in their profession. Inventor – awarded to Sims who have reached level 10 in their profession. Photographer – awarded to Sims who have reached level 10 in their profession. Private Investigator – awarded to Sims who have reached level 10 in their profession. Stylist – awarded to Sims who have reached level 10 in their profession.